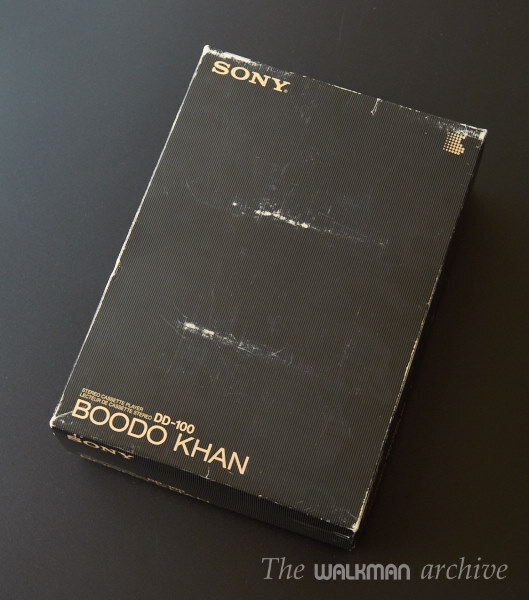 This is retro SONY WM-DD100 aka Boodo Khan Walkman. 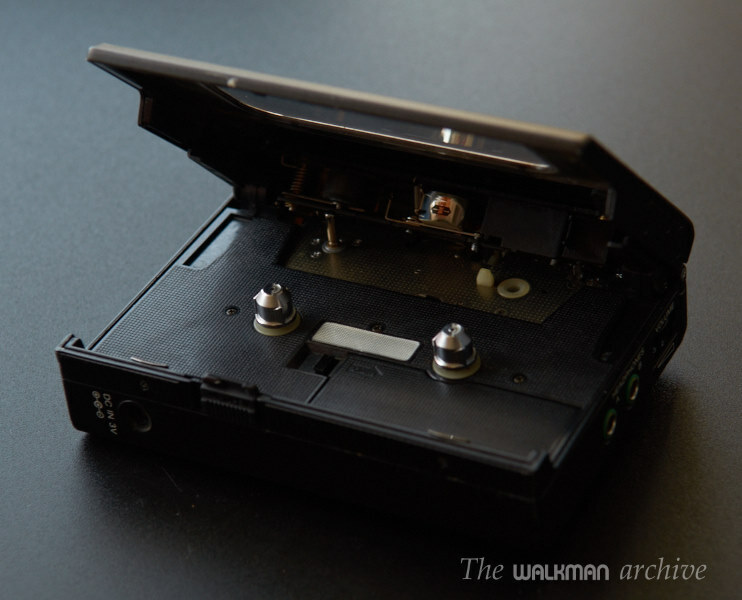 This walkman is very special, one of the most legendary and desired walkmans of all times. 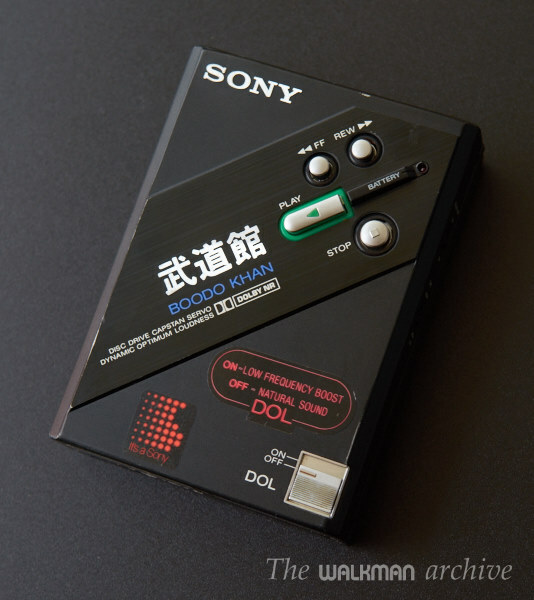 It was the very first walkman targeted to audiophiles and also the first one to feature an dynamic bass & treble amplification (after it, many systems appeared, inspired in that idea: megabass, SuperBass, DSL…). 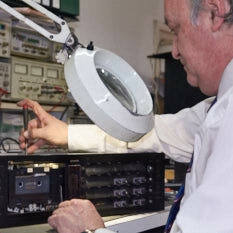 - Disc drive system (DD), which ensures high stability speed of the tape and, thus, very low wow and flutter). It’s a truly special model for collectors, almost impossible to find in this condition. You really can’t imagine how powerful, dynamic and clean it sounds if you never heard one by yourself. 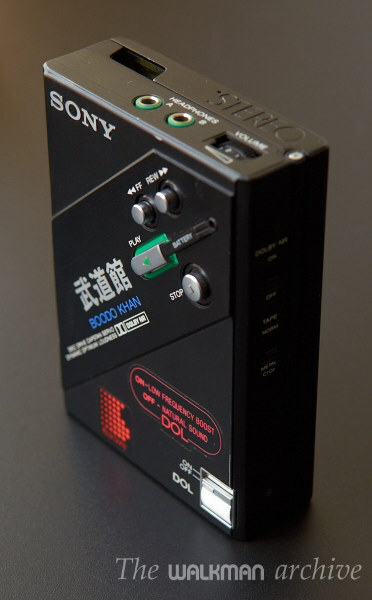 Not only that, modern MP3 players (even the most popular and better ones) cannot compete with it. It is only surpassed by it’s background hiss (as you can imagine, Dolby B cannot compete with a good digital file), but not by it’s dynamic range, ultra powerful bass and crisp treble. 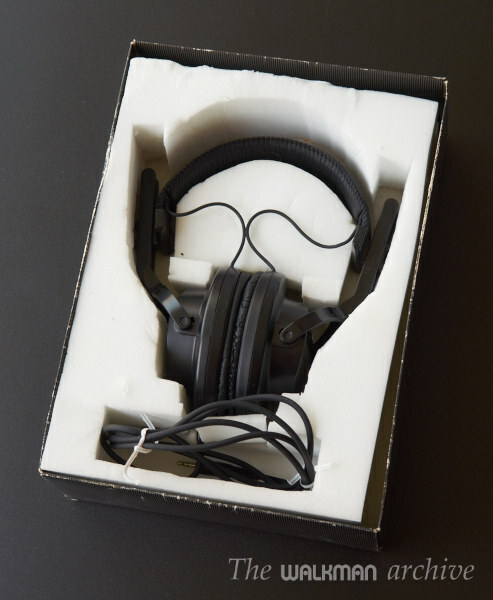 It can also drive high-ohm audiophile headphones. 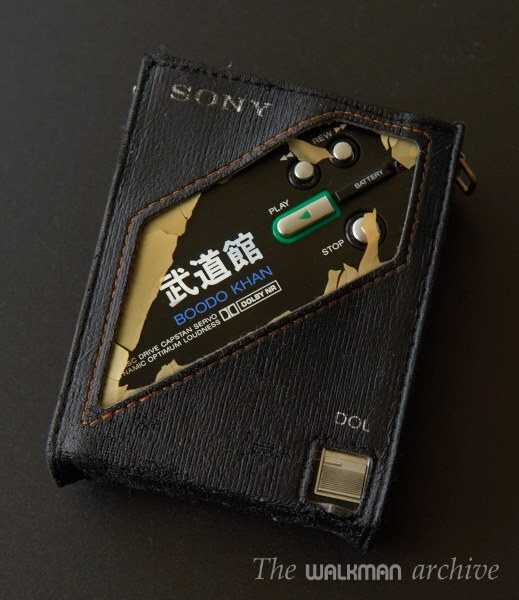 Made no mistakes: this is not a ‘musical toy’, like many modern portable players. This is a very high quality product targeted to audiophiles. If you don’t have a very good deck in full working order, you won’t enjoy it’s full musicality. Forget to use cheap or type I tapes, also. 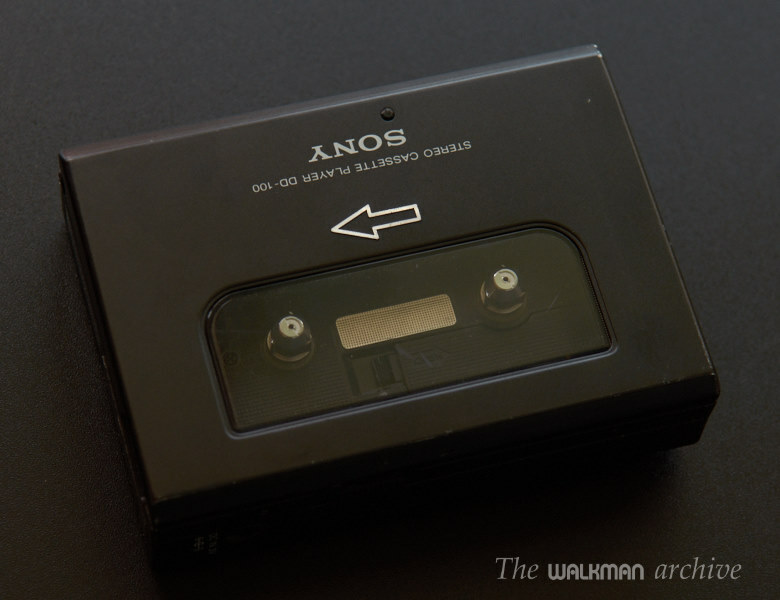 This walkman needs good chrome tapes, like TDK SA. It also has the Dolby B circuitry fine tuned, so with a good deck, you won’t notice the typical cut in high freqs, but only a very few cut. 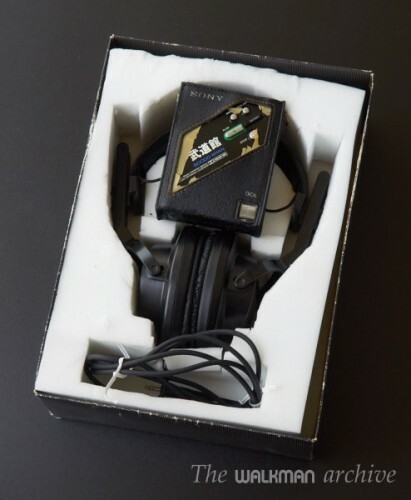 Also, the original headphones (which are in full working order) are the ones that will let you enjoy a plain response, because they were taken in count in the design process of the walkman, so they were both designed to use together. 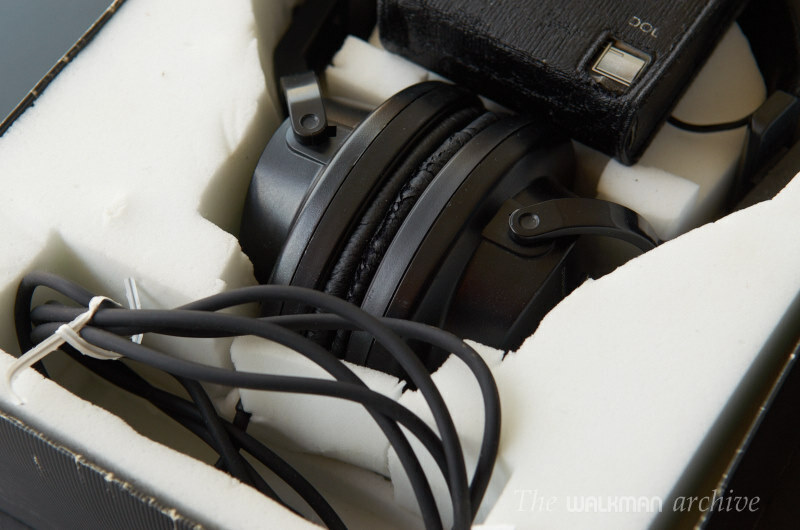 Modern headphones can be excellent (even better, though), but as they have better bass response than the original ones, when the DOL is activated, the bass is ground-breaking. You will be blowed-out for sure! Please check my article about it in the ‘gallery’ section. 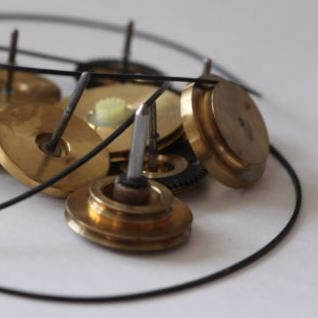 It suffered from the common ‘internal cracked center gear’ that makes the usual ‘clack clack’ sound while playing. But it has been professionally serviced and now it has the center gear repaired and it sound gorgeus. 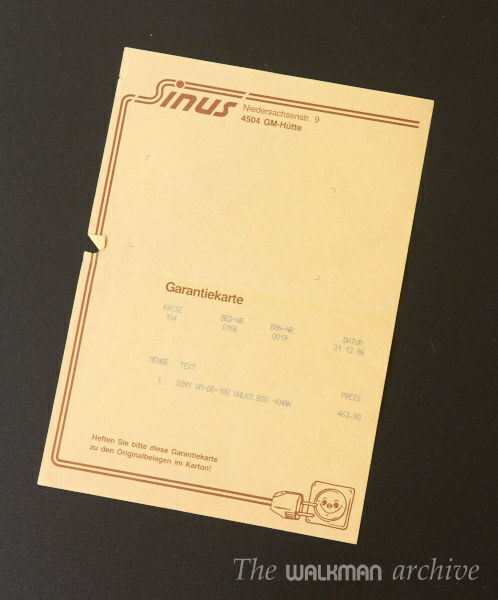 The internal plastic was lost by the original owner and he made a copy of it with white foam. Though it is not the same, it looks very similar and does the work. Cosmetically the unit is in excellent condition, except a very few and very small scratches in one corner. For details, see the photos. No black marker has been used (to hide scratches) before taking photos. What you see in the pictures: the original box with a hand-made foam. Bank transfer or PayPal. You can also pay it here if you come to get it). Cost depends on the country (check price in table below). You can also hand-pick for buyers near Barcelona. Zone 1: Europe, including Greenland. Zone 2: All other countries. Zone A - Germany, Austria, Belgium, Denmark, Slovakia, Slovenia, Finland, France, Greece, Ireland, Italy, Lithuania, Luxembourg, Netherlands, Portugal, United Kingdom, Sweden, Gibraltar, Switzerland, Norway and Iceland. Zone B - Rest of Europe not included in Zone A. Azores, Madeira, Monaco, Isle of Man and Morocco. NOTE: 4$/3€ will be added to the shipping cost, for packing costs. Still interested? Then, drop me a line through the contact form. This sale section in walkman-archive is a real hidden gem. All of these items are really hard to find anywhere else these days, if not completely impossible in most of the cases. When buying antiques so rare, we all want to know their state beforehand and that they come from a trusted source. The descriptions and the great and highly detailed pictures does not leave much space for doubts about the actual condition of the items. 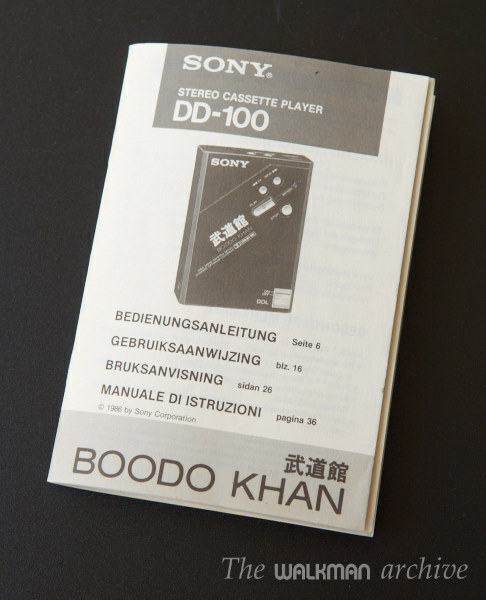 A key aspect for me was to buy from a well known and respected active member in the walkman collectors’ scene as the gentleman behind this site. My purchase experience could not have got any better. My walkman arrived in no time from across the Atlantic, and so carefully packed that I felt it could have endured being kicked all the way thorough without harming the jewel inside. Not only the item was in excellent condition and perfectly serviced as described, but I learnt a lot in my exchanges with the seller. 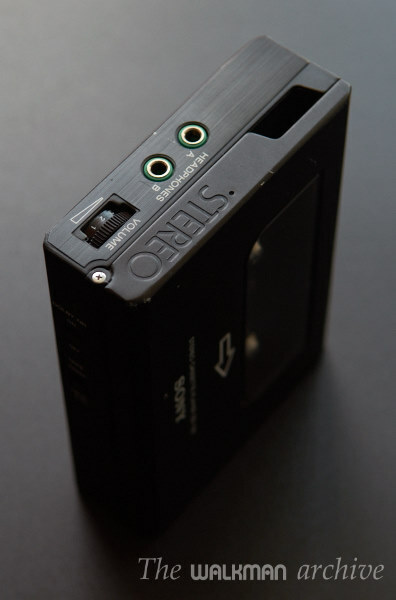 He did insist on recording a quality tape for me on a superb high-end cassette deck to be sure that I would be able to enjoy all the qualities of my walkman in the way it was meant to be. In the end he thrown in a second tape with a selection of my own, both of them sounding better than many of my original cassettes. I will always cherish these tapes and I am keeping them as reference recordings. Any of the items in this collection would easily sell on eBay for much more, sometimes up to 2-3 times more, yet you will see these are still very very reasonably priced. Considering that there is simply no competition for this type of catalog out there, they are all some very hot deals. In a world where most purchases are done in a few clicks in a very impersonal way, it turned out to be a great pleasure to go back to a more personal communication with the seller. I am definitely keeping an eye on this page regularly and will make sure to check this inventory first before making another investment in vintage audio players. Thanks again for not putting these gems out in the wild (eBay)!